A popular Rhode Island state lawmaker is resigning from his leadership role and won’t run for re-election after the FBI raided his home and public office, the Associated Press reports. 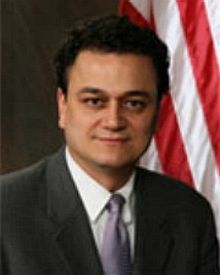 Gordon Fox, a 52-year-old Democrat who has been House speaker since 2010, said he will step down from his leadership post but will serve out the remainder of his term. “My personal focus going forward will be on my family and dealing with the investigation,” Fox said. Fox became the nation’s first openly gay House speaker. Posted: 3/24/14 at 9:14 AM under News Story.